One of the most recognized dog breeds ever, the English Bulldog is also one of the hardest to breed. 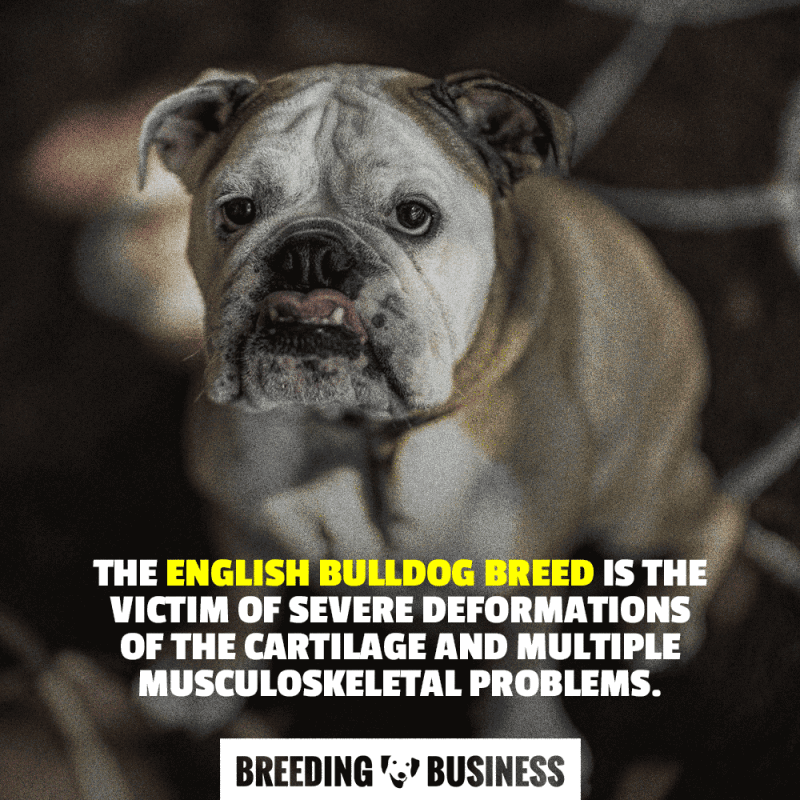 Selective breeding can have horrible consequences when done irresponsibly and English Bulldog breeding is the perfect example of dog breeding going wrong. If you are wondering how to breed bulldogs, today, it means trying to improve the breed by undoing what has been done for decades. The list of health concerns to be aware of is endless! From skin conditions and orthopedic diseases to cancers and breathing problems, Bulldogs get the whole deck. 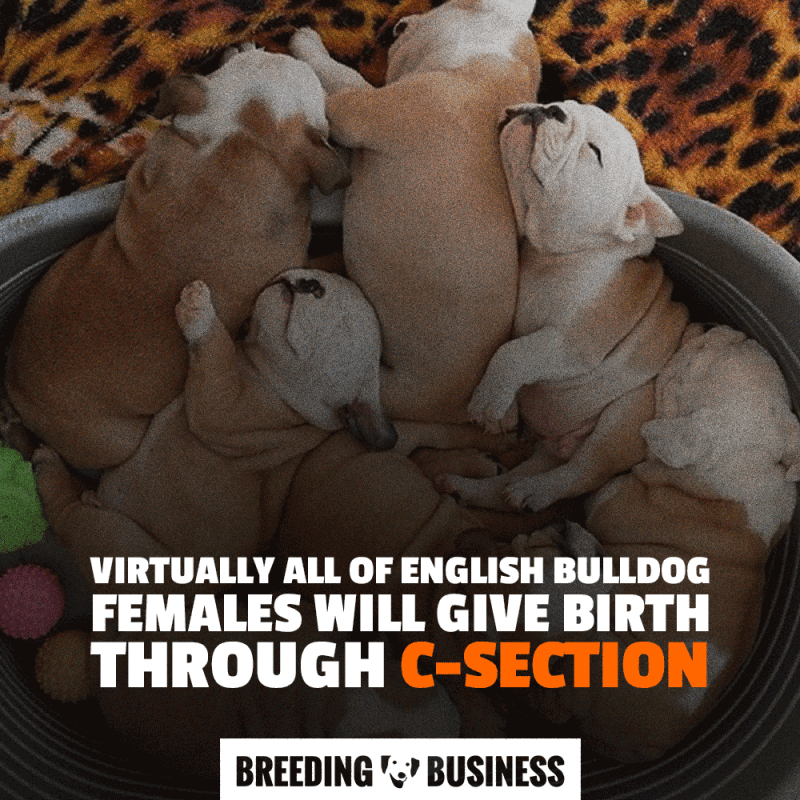 As a responsible Bulldog breeder, you should also be aware that Bulldog females virtually always give birth by C-section. Additionally, birth defects and stillborn Bulldog puppies are very common. Doing your research on raising bulldogs, I’m sure you have encountered tons and tons of discouragement, all suggesting that you turn back with your tail in between your legs and never look back. This only goes to show that breeding and raising bulldogs requires a strong-willed heart and love for your dogs to endure whatever ordeals that eventually will come your way. Breeding English Bulldogs is challenging but necessary if one wants to save such a beautiful breed — a breed with a wonderful history! Famous personalities and historic figures owning an English Bulldog include the likes of Winston Churchill, Brad Pitt, John Legend or even World-champion swimmer, Michael Phelps. Guess what is the United States Marine Corps’ official mascot? Yes, the Bulldog! There are hundreds of official breeds out there, so why has such a dog breed inherited of such a strong image and popularity? It’s all about History, my dears. The bulldog breed was selectively bred especially for bull-baiting competitions. 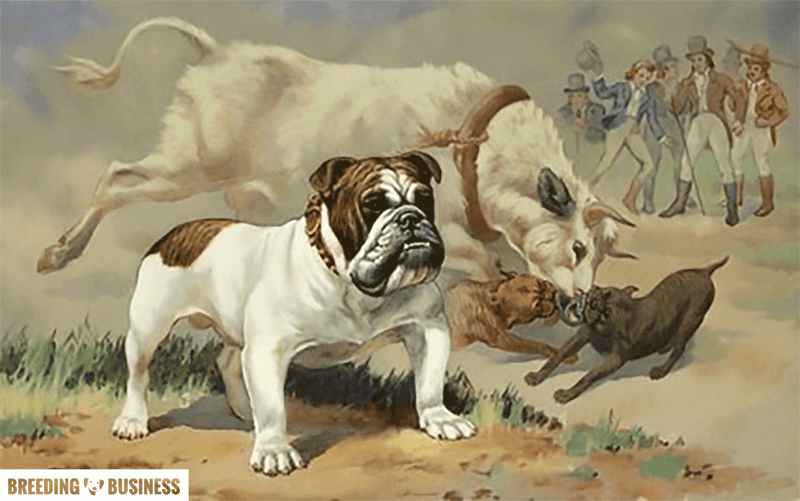 First things first, the term bulldog appeared around the year 1500 and the breed was called Bulldog because such dogs were used in bull-baiting, a very popular blood sport and spectacle back then. Bull-baiting consisted of a tethered bull facing dogs from which the winner was the dog that would victoriously grab the bull’s nose and pinned it to the ground. Obviously, bulls have considerable strength and power to hundreds of dogs died at such events — they were trampled, gored, and tossed. However, breeders of such dogs tried to selectively pick the most adequate physiques and kept on breeding them, generation after generation. They could see how much better these dogs were in the arena, so they kept polishing these dogs that were referred to as Bulldogs. By the 1800s, the Bulldog physique was synonymous with a stocky body, massive heads, incredibly strong jaws, and a fearless temperament. These were all the reasons why Bulldogs were so good at dominating fierce bulls. In 1835, the Cruelty to Animals Act 1835 included new legislation that put an end to bull-baiting, cockfighting, and all other cattle or bear blood sports. That new regulation should have been the end of the Bulldog but clearly, it was not. The Old English Bulldog was a loved breed and it was a symbol of strength and fearless courage. So much that several British emigrants brought these dogs with them when crossing the Atlantic to settle in New York. Timing was great because mid-17th century, the Big Apple was facing challenges with numerous wild bulls present in the city. At the time, Governor Richard Nicolls rounded up the best bulldogs available and started breeding and training them to catch those wild bulls by the nose and hold them until they could be neutralized by the handler. Obviously, the Bulldogs succeeded at that, too. Once bulls were less of a threat in New York, and less of a spectacle in the United Kingdom, there wasn’t much work for bulldogs to keep on thriving. However, Bulldogs as pets were on the rise thanks to Bill George (1802–1881), famous Victorian-era dog dealer and well-known character in London, England. But families owning bulldogs were more into its very unique appearance rather than its bull-baiting abilities. I guess this is when things started to go wrong. Bulldog breeding started to be focused on the exaggeration of that strong squared head, stocky body, and original physique. Nobody thought that this could go as far as it went, but it did and we witness all the consequences today. With an average life expectancy of 8 years, the English Bulldog breed is amongst the shortest living dogs out there. Medical conditions affecting our Bulldog breed are wide-ranging and severe; they affect all facets of a dog’s health: eye, skin, joints, breathing, cells, and so on. 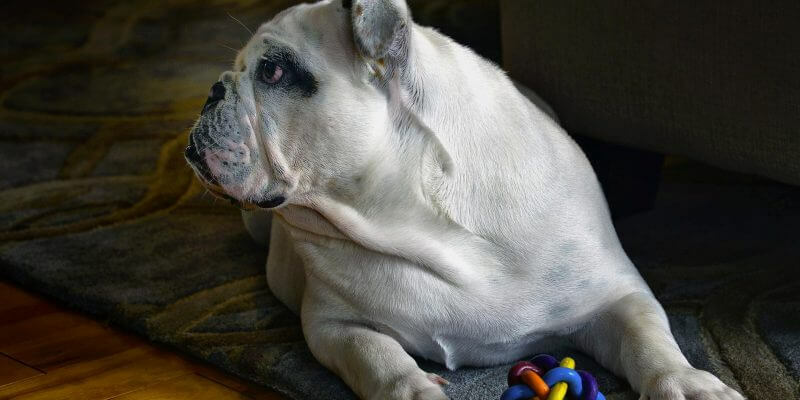 A study led by researchers from the University of California, Davis has hinted that breeding Bulldogs that healthy may be an impossible mission because of years of close inbreeding. We were taken back by how little ‘wiggle room’ still exists in the breed for making additional genetic changes. We definitely would question whether further attempts to physically diversify the English bulldog, for example, by rapidly introducing new, rare coat colors; making the body smaller and more compact; or adding further wrinkles in the coat; are going to improve the already tenuous genetic diversity of the breed. Professor Niels Pedersen, UC Davis School of Veterinary Medicine’s Center for Companion Animal Health. This dramatic picture should not discourage anybody willing to better the breed because let’s face it, Bulldogs are here to stay. Therefore all Bulldog breeders have to take it upon themselves, as a community, to do their utmost to fix as many issues as possible. If it requires some rules to be broken by Kennel Clubs and some lines in the breed standard to change; then be it. By breeding bulldogs, you must be aware of some of the most common health conditions affecting the English Bulldog breed. You ideally want to breed such issues out of your bloodline. Brachycephalic means short-headed, and when shortened to some extremes like we witness today with Bulldogs, this respiratory problem also called congenital obstructive upper airway disease leads to a series of related problems. Because these dogs cannot handle a sustained activity, they are at high risk of obesity and structural problems. Cats from the Persian breed, as well as French Bulldogs, Pugs, Pekingese, and Boston Terrier dogs, are also victims of the same brachycephalic syndrome. If you have met these in person, you cannot ignore the noisy heavy breathing and their forced sedentarity. Pets from brachycephalic breeds can even collapse at times due to a severe lack of oxygen. Heat is a massive danger for the bulldog breed — dogs don’t sweat so the only way for them to cool themselves down is through panting and breathing. With such dogs, breathing and panting are both difficult so ventilation is too slow to cool dogs down. Surgery is possible but it will not fix the issue definitely, instead, it tries to improve the worst cases. The real solution is through smarter selective breeding by matching partners who have healthier head shapes and respiratory tracts. However, these better specimens may be affected by other conditions since the bulldog is a victim of a mountain-high list of potential problems — it makes finding healthy Bulldog parents very hard! The bulldog breed is the victim of severe deformations of the cartilage and multiple musculoskeletal problems. Amongst all, chondrodysplasia makes Bulldogs prone to painful bone and joint problems that are almost impossible to fix. If you like numbers, the bulldog breed is the most at risk of hip dysplasia with 74% of the population dysplastic. Elbow dysplasia is just behind at with 40% of dysplastic Bulldogs. The Canine Health Information Center has a list of the screening tests available to spot some of these conditions. Chondrodysplasia makes English Bulldogs prone to painful structural problems that are almost impossible to fix. The eyes of a Bulldog require a lot of attention from the beginning. 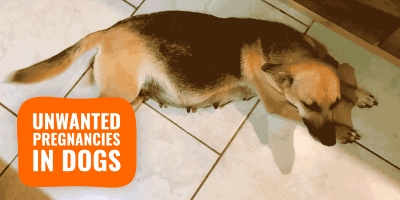 Most will start early on, and if not fixed during the beginning phase, they often become unfixable and are poised to discomfort your dog for life. In a survey overseen by the British Kennel Club, the most commonly reported condition in living Bulldogs was the Cherry eye. Senior and aging bulldogs are also very commonly having a malfunction in the tear production which causes such Bulldogs to suffer from incredibly dry eyes. This is expected post-surgery, such as after a Cherry eye operation, but it also happens because of older age. Use a vet-recommended artificial tear product to avoid a whole string of corneal conditions resulting from long-term dry eyes. Because of its wrinkled skin, the Bulldog breed is very at risk of bacterial skin infections as well as irritations. Canine atopic dermatitis commonly referred to as Eczema, is perhaps the English bulldog’s most common skin condition nowadays. 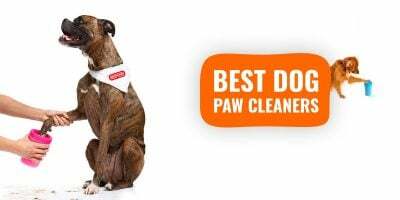 The best way to keep your Bulldogs free of most skin infections is by using antibacterial wipes regularly and properly clean both the dog’s coat and wrinkles. Keeping the skin dry should also prevent the growth and proliferation of yeast and bacteria on the dog’s epidermis. Mast cell tumor is the most common cancer in the Bulldog breed: it affects the skin most of the time, however, there are also occurrences of several other organs being affected such as the dog’s liver, bone marrow, spleen or even the gastrointestinal tract. Flat-faced dog breeds are more prone to mast cell tumors although any dog breed can be the victim of it. When they occur on the skin, mast cell tumor vary widely in appearance. They can be a raised lump or bump on or just under the skin, and may be red, ulcerated, or swollen. In addition, many owners will report a waxing and waning size of the tumor, which can occur spontaneously, or can be produced by agitation of the tumor, causing degranulation. Mast cells contain granules filled with substances which can be released into the bloodstream and potentially cause systemic problems, including stomach ulceration and bleeding, swelling and redness at and around the tumor site, and potentially life-threatening complications, such as a dangerous drop in blood pressure and a systemic inflammatory response leading to shock. Other cancers target Bulldogs such as Lymphoma, Hemangiosarcoma, Melanoma and Mammary Carcinoma. Obviously, cancers in the canine species are like those found in humans, we don’t always know how to avoid them or why they are appearing. Maintaining a good overall diet and health help reducing the risk for most cancers. The thyroid is a small gland lodged close to the dog’s larynx, in the neck, and it is part of the part of the endocrine system useful in regulating different hormone levels. The bulldog breed has a tendency to get lower thyroid hormone level, and it can take years to be noticed and treated. Visible signs are recurring skin conditions or difficulties at maintaining a good weight despite a great diet. This condition is called hypothyroidism. A female Bulldog will virtually always deliver her litter of puppies with the help of a C-section. Lastly, urinary problems are another health problem to add to this endless list. They usually are diagnosed as canine cystitis or urinary tract infection, easily spotted with urinalysis or a urine culture. Both conditions are relatively easy to treat using appropriate vet-prescribed medication. Now that we have both agreed that you have to get into it for the long haul, we can now get you ready to breed better Bulldogs. 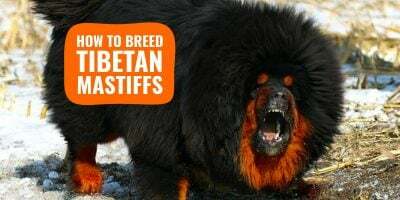 It all starts with our most-visited page about the pillars of dog breeding, because despite being a very peculiar breed, Bulldogs are just dogs. On average, a female Bulldog will give birth to 4 puppies by using a C-section nine times out of ten. Once the whelps are given birth, they often are hand-raised and hand-nursed by both the mother and the dog breeder; this is because the mother inevitably will need some time to recover from her C-section. Where other breeds can usually look after their newborn whelps as soon as they are given birth to, here again, the bulldog needs a special treatment to avoid the mother getting too tired, or the puppies getting too neglected. Breeding dogs is harder and more expensive with English Bulldogs. For example, bulldogs virtually always give birth with a C-section. The cost of a C-section with all related line items included (examination, surgery, post-surgical observation, and boarding) should bring you close to around $750 or more in some areas or during special hours. This is if everything goes well, so you want to ideally speak to your vet beforehand to avoid unexpected fees added to your vet bill. Additionally, health checks are multiple and frequent with breeds at risk like the Bulldog, and postnatal vet visits are also recurrent to ensure the growth of the puppies is stable and normal. All these journeys back and forth to the veterinary practice add up, especially when you also count the cost for the hospitalization, the DNA laboratory results, blood reports, X-rays, drugs, and supplements. And this commonly amounts to $4,000 to $6,000 dollars for a litter. On top of the heavy financial investment, breeding Bulldogs requires a lot more time to allocate from the breeder. 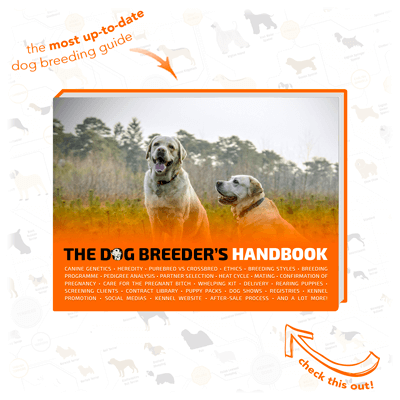 Unlike other breeds where Mother Nature handles most of it, the breeder has to be very present throughout the pregnancy, the labor, the delivery, and even throughout the puppies’ first weeks. We’ve got a comprehensive article with everything that should be in your whelping kit. This is why when involved in ethical Bulldog breeding, a breeder will price a Bulldog puppy around the $3,000-mark and sell it with ease. For more information, read our comprehensive article about the right way to price each puppy in a litter. As long as you are the right candidate, the hardships of breeding bulldogs cannot scare you off that easily or not at all. It’s no easy job and requires total dedication from you and commitment to humane treatment of the dog and improvement of this difficult breed. There are a lot of expenses and even if each puppy sold is done so at a high price, you never know whether or not the demand will be there when you’ll have your litter. Therefore, you are indeed exposing yourself to some financial liabilities. 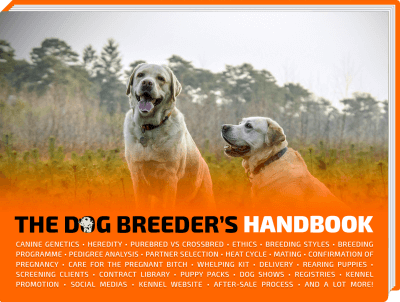 Keep savings of about $5,000 to ensure the stability of your bulldog breeding program. The planned and unplanned visits to the vet can set you back more than $3,000, hence the need to be ready financially. 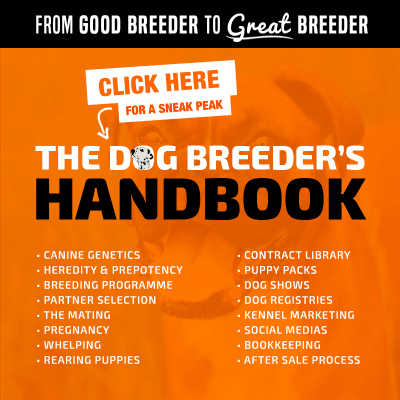 To be successful in dog breeding and breeding Bulldogs, you should connect with other fellow Bulldog breeders, judges, and breed experts. When working with such a challenging breed, you do need to be mentored, at least for the first few litters. Find mentors who are trustworthy and who are leading by example, not just by great speeches. 100's of Bully lovers read The American Bully Bundle.